China’s PP industry continues to be at the peak of capacity expansion. China’s PP capacity occupies about 30% of total global capacity. China will continue to lead global capacity expansion and fill the domestic supply gap. The newly added capacity of PP in 2018 is supposed to be above 1,000kt/a, and that in 2019 will reach more than 4,000kt/a. The market share of coal chemical enterprises accounts for about 26% of the total. With the diversified development of the PP industry, the competition among PP producers is becoming fiercer and fiercer. In Q3, 2018, PP prices rose to the highest level since 2016, and prices of raffia-grade PP reached above RMB 10,100/mt, mainly underpinned by the intensive turnarounds of PP units. China’s economy suffers downward pressure, but margin loose can be still expected. With average demand and short supply, will PP prices remain high in 2019? PP prices soared, causing higher cost pressure on downstream enterprises. Reducing procurement costs, effectively transmitting cost pressures, and making good procurement forecasts have become an urgent problem for downstream enterprises. SCI has been absorbing in bulk commodities for 14 years and accumulated abundant industry data. 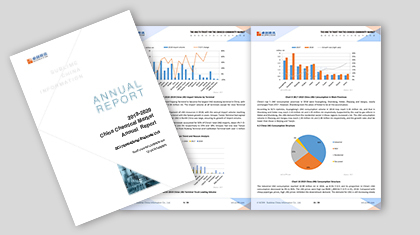 Based on original data of SCI survey, as well as authoritative data released by NBS, China’s General Administration of Customs and NDRC, this report analyzes PP supply & demand, import & export, PP price tendency and industry development trend and forecasts the market driven factors and industry development. The report also analyzes hot topics such as the trade war between the U.S. and China. As the industry structure changes constantly, the PP market will also change frequently. SCI’s research on specific fields embodying PP supply and demand fundamentals can help companies make effective decisions and enhance their competitiveness in the industry. SCI will try the best to satisfy customers’ needs and provide the most comprehensive reference recommendations for future operations. 1. To understand the PP supply and demand pattern clearly by analyzing the supply and demand balance in recent years. 2. To learn that global supply and demand pattern is changing and China’s global impact is enlarging gradually, by analyzing global PP supply and demand pattern. 3. To better understand PP import and export pattern, by analyzing PP import and export markets in detail. 4. To better learn about enterprises’ operation status, by analyzing cost and profits brought by diversified feedstock. 5. To know global PP prices tendency and influential factors by showing PP data in recent years. 6. The impact of trade tensions between China and the U.S. on China’s PP market. 7. Analyze the PP downstream operation indicators as well as the application in important industries, in order to better understand downstream enterprises. 8. To analyze influential factors of price changes from multiple angles; to objectively evaluate the transmission of PP value chain. 9. To help you better understand the future PP market trend as well as the supply and demand pattern, by interpreting macro environment and industry strategy.